Charles Mbuli Njengti a.k.a. DJ Sisqo – Mix is a prominent entertainment figure based in the city of Kumba, Cameroon who is worked with almost all the top night clubs in the country. From a family of 5 with 3 boys and 2 girls and the third son, he hails from the Dungamatung division precisely from Nkambe. Also a former secondary education student of motor mechanics in G.T.C. Kumba where he obtained his CAP certificate and later went to automobile engineering department in the high school but unfortunately failed the Probatoire exams. He moved to Presbyterian Technical Center for the practical studies of automobile engineering, at this point he decided to pick up a career as a deejay. Nexdim: When did you start your career as a DJ? DJ: It all started back in my days of secondary education when I was a pop and break dancer, I used to be a mini Michael Jackson pop dancer back then. And while learning break dancing from Sisqo’s Unleash the Dragon album and Usher Raymond’s You Remind Me in 2001, I was able to grasp the little I can from both of them bringing up my unique break dancing skills. In my school G.T.C. Kumba, I was always called upon to represent for evasion competitions, play back and school socials and I ended up getting so many praises from the audience as they kept telling me to keep it up. On this fateful day I was invited in CCAS Kumba by their social prefect to come and entertain with break dancing it was my first time of standing before a big crowd of about 500 people. Presented by the MC as Charles Mbuli the unbeatable break dancer I came out with my katreige cassette, by then CD, DVD and computer were not that common. The song was ‘Got to get it’ from Sisqo and when I started dancing the population was so amazed to see somebody doing break dancing live on stage, not on TV as usual, it was really a great show. Round of applause followed and I was named Petit Sisqo and that’s how the name Sisqo came about. DJ: Due to the love I have for music, listening to latest music and creating my own choreography, I came into contact with hip hop mega mix vol 1, 2 and 3 popular demands 2002, garalla 2003 raga mania and many others. I was so amazing with the exclusive mix collection and I always like the way the DJ manipulate on the mix machine so I asked God to make me become one someday. In 2005 I attended a show in SobaPark where I met Dirtsman who was on the mix machine using a computer system with BPM studio 4.2, he recognized me as a dancer. After declaring my interest in the job he started moulding me up with the little he could at that time as far as musical animation was concerned. I got myself into beats construction and recording receiving ideas from Slim-J and DJ West also known as West Don. When Dirts man left Soba Park, I was employed as the master DJ in 2008. I did my best and the name DJ Petit Sisqo was the key to success for showbiz in Kumba, I also did home recordz and demo beats which made the fans of hip hop in Kumba recognized me much more with great encouragement. On the 23 of December 2009 I was called to open a new night club known as Bao Night Club Mbonge Road Kumba. 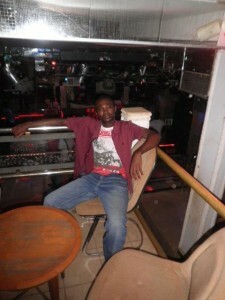 In 2010 I was employed to work in Blush Night Club which was the top and best club in Kumba. 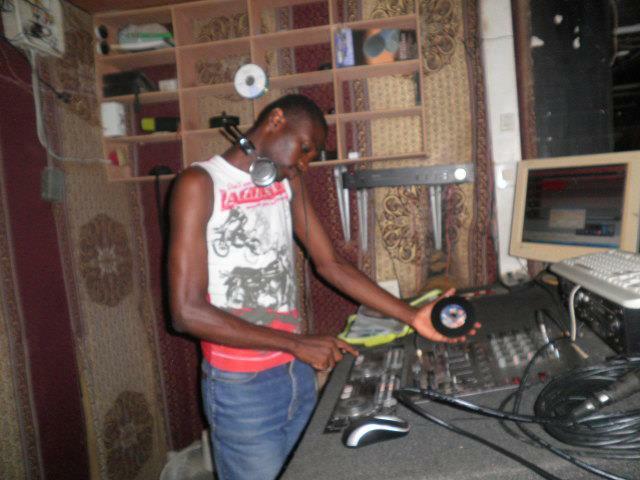 This is where I meet DJ Doul from New Life Night Club Douala (KOLADERA) and as the head of our department he taught me how to use a professional mix machine, the audio engineering, master mixing and DJ light mixing. For MC and animation, much inspiration came with the help of DJ Toxic, Serge Mamboh, Kitoko, and Sunny not leaving out Dirtsman. In 2011 I was employed to work in Jupiter Entertainment Complex Buea where I met DJ Dirtsman again and we were just like brothers from a different mother. I’d always give him that respect as my teacher. NexDim: How do you find the deejay job in Cameroon? DJ: I find it quite impressive because they do respond to musical animation especially in the francophone zones. NexDim: From your job nature it shows you are so much exposed to night clubs and music as a whole, how can you describe your love for music? DJ: The love for music came to me since from child hood. I always love listening to music when I was small and dance with my elder brother who was a very good dancer of zaiko, ndombolo and kassave. This greatly helped me a lot cos it was like an inborn trait for me. NexDim: How do you cope between your job and normal life? DJ: It is not really easy because my activities are in the opposite form of human life I feel sleepy during the day and active during the night, but not all the time. This is one of the reasons which makes the job more difficult and, as a club DJ you must adapt to it, automatically, night becomes your day and day time becomes your night, if not you wouldn’t cope with the job and your life. NexDim: How do you think the music industry inCameroon can be uplifted? DJ: The music industry can be uplifted if they stop the act of jealousy, stealing and copying of people’s talent, and the artist should be unique and united, this way the country grows and becomes more powerful in music. Nexdim: What brand of music do you love most and who will you say is your favorite artist?